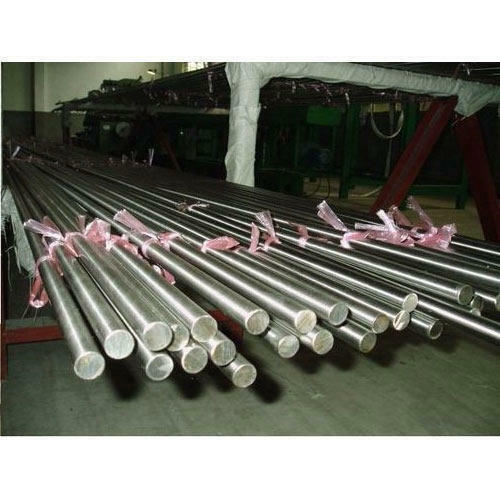 15-5PH Precipitation Hardening Stainless Steel Alloy (S15500) is a variant of the older 17-4 PH (S17400) chromium-nickel-copper precipitation hardening stainless steel. Both alloys exhibit high strength and moderate corrosion resistance. High strength is maintained to approximately 600°F (316°C). The 15-5 PH alloy was designed to have greater toughness than 17-4 PH, especially in the through-thickness (short transverse) direction. This improved toughness is achieved by reduced delta ferrite content and control of inclusion size and shape. The composition and processing of 15-5 PH alloy is carefully controlled to minimize its content of delta ferrite, which is present in the 17-4 PH stainless steel material. Inclusion control is done by consumable electrode remelting using the electro-slag remelting (ESR) process. The 15-5 PH alloy is martensitic in structure in the annealed condition and is further strengthened by a relatively low temperature heat treatment which precipitates a copper containing phase in the alloy. Like the 17-4PH alloy, the 15-5 PH stainless steel alloy requires only a simple heat treatment; a one step process conducted at a temperature in the range 900°F (482°C) to 1150°F (621°C) depending on the combination of strength and toughness desired. A wide range of properties can be produced by this one step heat treatment. Heat treatment in the 900°F (482°C) range produces highest strength, although slightly less than those of semi-austenitic alloys like S17700 (17-7 PH) or S15700 (15-7 PH). The latter precipitation hardening alloys generally require more steps to complete heat treatment. The15-5 PH alloy is generally better-suited for plate applications than are the semi austenitic alloys. Chandan Steel World", have embarked on this domain in 1969 with attaining outstanding success in Manufacturing, Trading, Wholesaling and Supplying extensive array of Round Bars. We are known in the market for manufacturing Titanium Round Bars, Titanium Plate & Sheet and Stainless Steel Round Bars. We always work using the latest and advance technology while following the basic principles of precision engineering. Owing to this prospect, We have set milestones with functional efficacy, durability and accuracy of our products in the market. The manufacturing products are inspected on a routine basis to ensure that their efficiency levels are at their optimum best. Our infrastructure is aligned towards fulfillment of our customer needs and is spread in huge premises. In addition to this, we follow the specification on quality extended by the industry that boosts up the functional efficiency and reliability of our accessories and equipment. Supported by qualified team of quality controllers we deliver products with zero defects that serve for a long period of time. We manufacture the products as per client specification and industrial requirements and we always try to bring in some innovative changes in our products, So as to offer the best products to our customers.